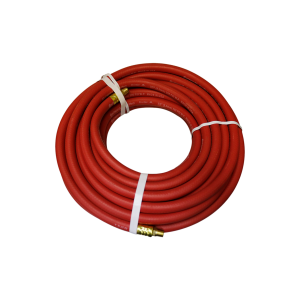 Premium 50 ft. air hose rated at 300 PSI. Made of natural rubber, which prevents coiling. Oil resistant so it can be used in mechanical shops as well. Textile reinforced design holds its shape and air passage diameter.